The most beautiful snow came this weekend. 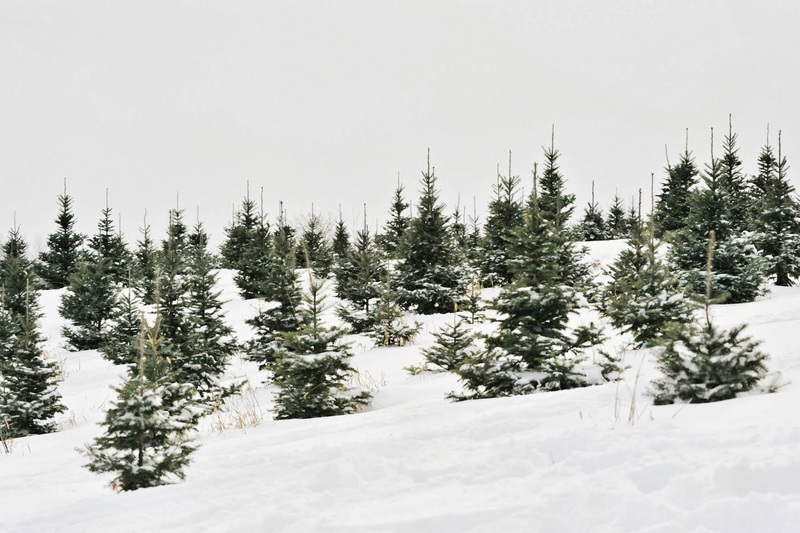 It covered the trees and the land and made for a perfect Christmas tree hunt. 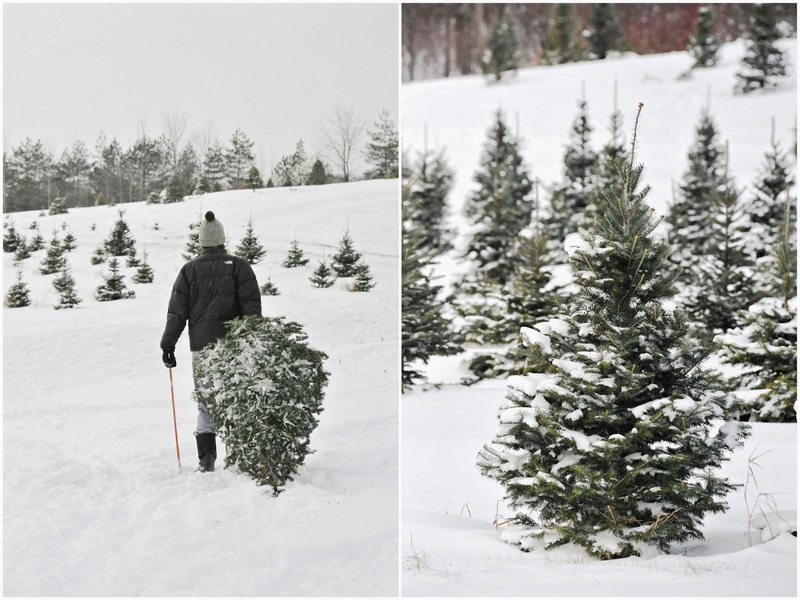 We are harvesting the tree a little late – this is what I thought – but when we arrived at the favorite Clembrook Christmas tree farm, the place was packed with people. 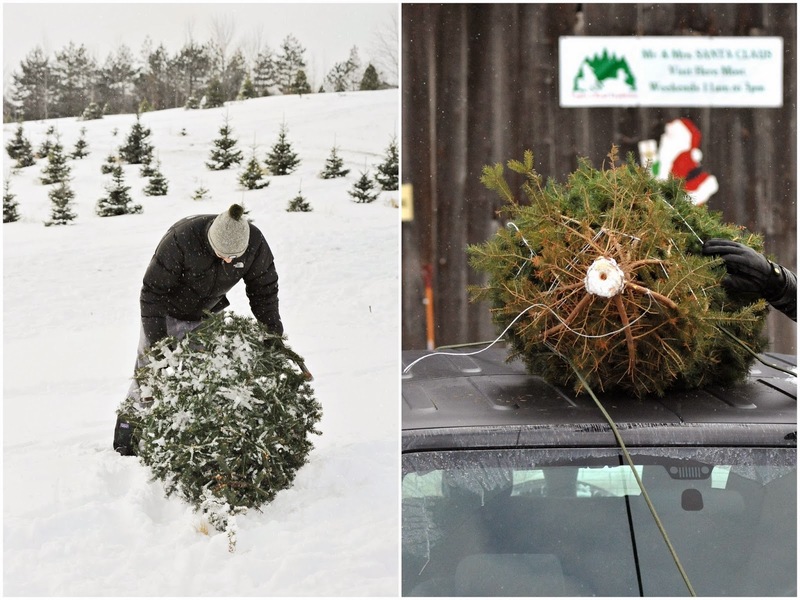 Hunting for our own real tree is a family tradition that has been deeply rooted. This year, a small, perfectly green, imperfectly shaped and divinely fragrant Canaan Fir will adorn our living room and will bring a sense of celebration, warmth, family and home. 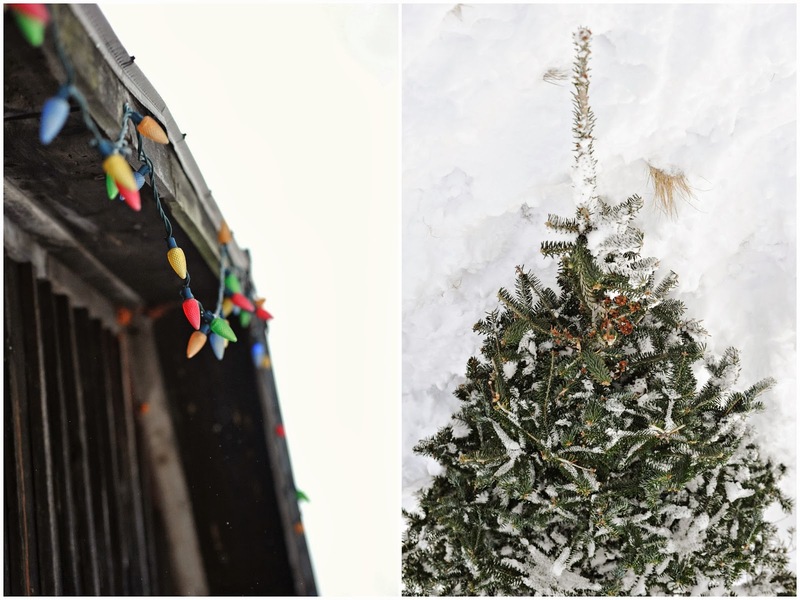 Why do we always choose a real tree instead of an artificial one? More than enough reasons which I tried to explain here. Your pics are award winning - perfect. Love this post. Always had a real tree till I married a man allergic to pine....poor guy. I am used to it now but it took some getting used to back when. OK. Me again. Been thinking about this. Have you ever written a book? Or considering it? to happen. You just wow me beyond explanation. We too had a silent night as snow fell and the moon shone so HUGELY over our cottage; I opened the door late last night to get our mail, and there she was, the moon, shining on my front door step. Real vs. artificial is the only way to go for me these days. Not only is the visual pleasure a large part of the memory, but the scent, the actual HUNTING of the tree...we are really all so primal down deep inside. I like to hunt for my tree close to Christmas... it stays fresh through the season that way. I do cut them from our land, and search among the Charlie Brown stands... the trees that are coming up crowded together. Cutting these opens up the area for more light and nutrients for the other Charlies. 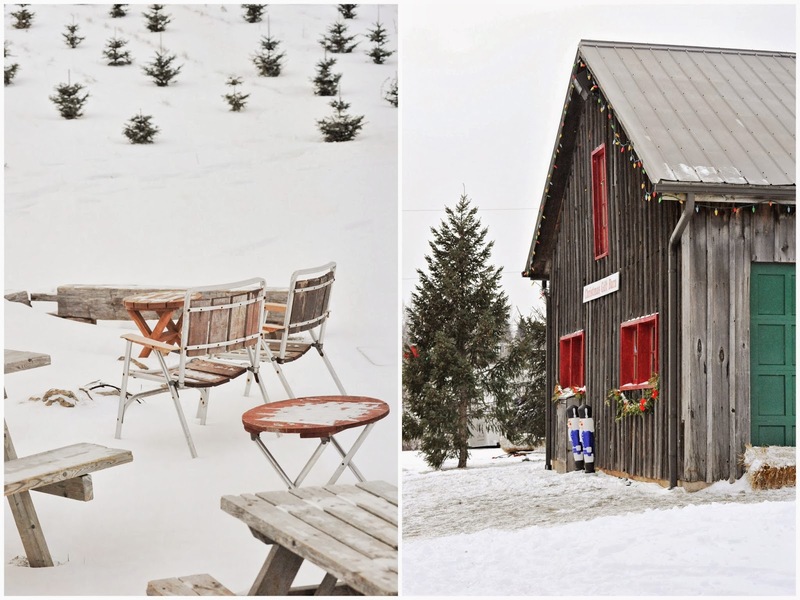 It looks like you had the perfect day to find yours ~ enjoy decorating it! What a delight ! You sure have some great photos of a special day. I've never been fortunate enough to do this. Limited here to cutting spots and when I lived close to the city, my sons were to young and I had no way to haul a tree.